Can Shopping Really Help You Alleviate Sadness? Home / Behavioral Finance / Can Shopping Really Help You Alleviate Sadness? We hear a lot about “retail therapy,” and how shopping can help you alleviate feelings of sadness and even stress. But does retail therapy really work? A recent study from the University of Michigan indicates that retail therapy may be a real thing â€“ and looks at why retail therapy is effective. According toÂ The Benefits of Retail Therapy: Choosing to Buy Reduces Residual Sadness, just the act of choosing between products can help you feel better. It’s not so much the spending of money (although spending money on other people can make you happy), as it is making the decision. Sadness, the study authors contend, is often the result of feeling out of control. However, being able to shop, and choose between different products, picking the one you like best, restores some of those feelings of control and reduces the sadness you feel. One of the interesting results of the study was an indication that shopping does not reduce feelings of anger. Study authors believe that residual anger is an emotion that is more related to control, so retail therapy doesn’t help get rid of that emotion. 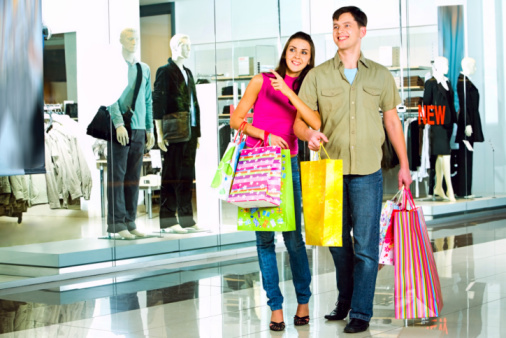 However, the control exerted during shopping can alleviate some of the sadness felt. So, if you are sad, or if you feel your life is spiraling out of control, doing a little shopping can help you feel better. Should Retail Therapy Be the Solution to Your Problem? What the study doesn’t address is the effects of retail therapy down the road. For many people, shopping to alleviate feelings of sadness, or to regain a feeling of control, can result in debt. Long-term, it might be reasonable to assume that regular retail therapy could eventually have theÂ opposite effect. After all, debt is one of the things in life that causes most people to feel most out of control. So, while shopping therapy might work in the short term, once it’s over, and you look at the pile of debt, it might intensify the feelings that led to the need for retail therapy in the first place. That’s a study that I would be interested in seeing. Is there a vicious cycle created by shopping therapy? As you continue to shop to get rid of feelings of sadness and lack of control, the mounting debt could actually prompt even greater feelings of sadness and lack of control. With those rising feelings, more shopping therapy might be needed, resulting in even more debt. Is that something measurable with a study? More and more, we see evidence that our emotions are tied to our financial decisions. Whether we go shopping to reduce the amount of sadness we feel, or whether we let fear rule our investment decisions, emotion can be a powerful force in our finances. One of the best things you can do to keep on top of your situation is to take stock of the triggers that lead you to spend, or that encourage you to make poor financial decisions. Once you understand these issues, you will be more likely to gain control of your emotions, step back, make better financial decisions, and even cure your shopping addiction. Have you found yourself shopping solely to alleviate sadness? Leave a comment! One Response to Can Shopping Really Help You Alleviate Sadness? I need and I don’t spend frivolously, but it does help I find when you’re sad.